When you are ready to take your diabetes care to the next level, this is the right place to be! I offer a free coaching consultation to anyone who wants to learn how to trust their inner wisdom and intuition as their own health expert and who is ready to take control of their power of choice, as it is our choices that determine our realities. 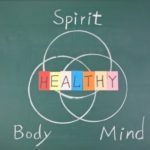 If you struggle with the daily management of any aspect of your health – mind, body, spirit – and you are looking for a proven system to follow that includes total accountability and guidance in the realm of mindset, nutrition, fitness, emotional well-being and so much more, then working with me is a great option for you to explore. Fill out this short questionnaire and schedule your free consultation now!